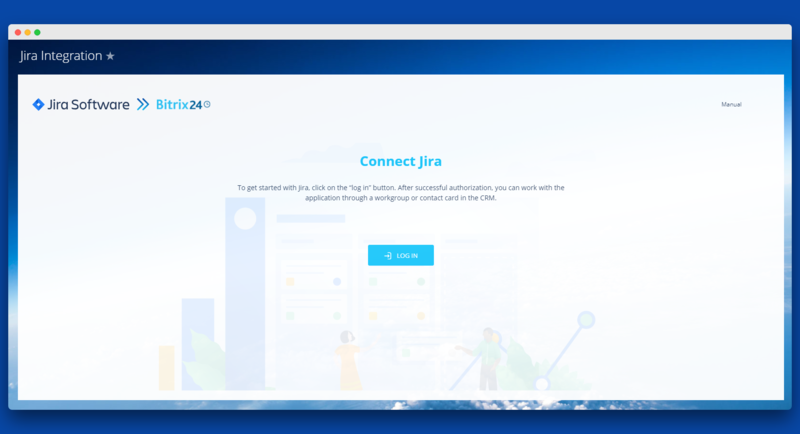 Now you can coordinate how Jira works inside Bitrix24 interface. You can interface with Jira directly from Bitrix24 account to create, view and edit all Jira issue details. Creating a Jira issue. Create an issue directly from a Bitrix workgroup. List of Issues. View the list and status of all issues. Issue details. Manage how an issue works, by going to a Jira issue via link. A list of parameters when creating a Jira issue expanded. A new custom Jira issue filter added. A new oAuth 2.0. authorization added. To get started with Jira, click on the “Log in” button to authorize in the application. If the user is not authorized in Jira, a window with authorization will appear after clicking on the “Log in” button. After successful authorization, there will appear a screen with a list of access rights (scopes) and a list of accounts that can be connected with Bitrix24. After selecting the account, the user needs to click on the “Accept” button. After clicking on the “Accept” button, the user will return to the application page with the data from Jira.